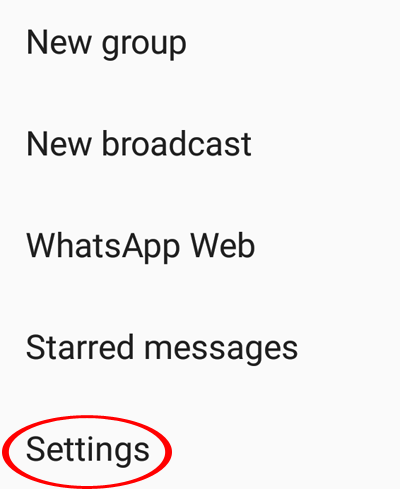 What is last seen in WhatsApp? 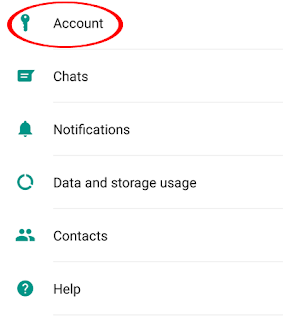 The timestamp feature (enabled by default) in Whatsapp which tells your friends and contacts whether you are online now or when was the last time you open WhatsApp to read messages. There are few good reasons why you might want to hide last seen in WhatsApp. Maybe you want to avoid annoying messages from a friend, but at the same time you still want to chat with others. Maybe you are not in the mood to chat and you just want to read your messages. Maybe you are bombarded with messages and would like to reduce them. Or maybe you have privacy concerns. 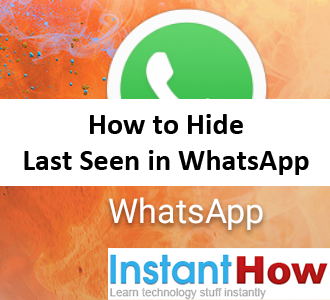 Whatever the reason, you can actually hide last seen in WhatsApp by following our guides as follow. 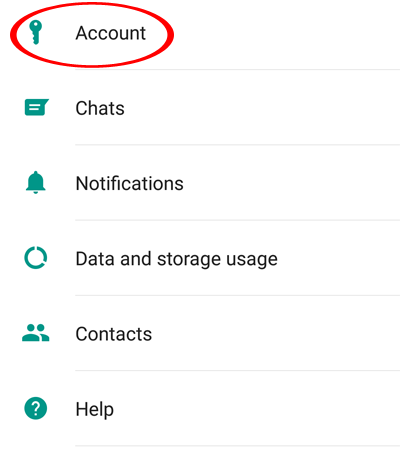 Before you proceed, please take note that after turning off this feature, you will no longer be able to view your friends and contacts last seen too. 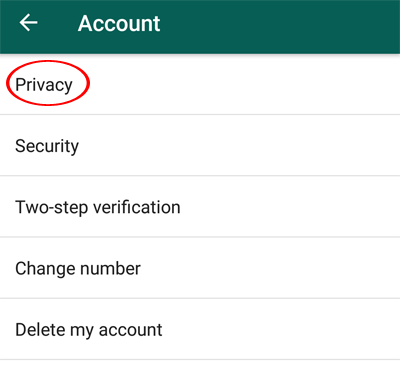 Here’s how you can hide last seen in WhatsApp if you've decided to proceed. For Android phone, tap on the three little dots in the top-right. 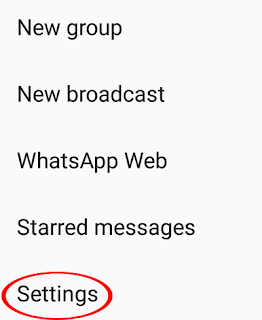 This will open the WhatsApp menu. From the menu that appears, tap on Settings. For iOS just tap Settings in the bottom right corner of your screen. 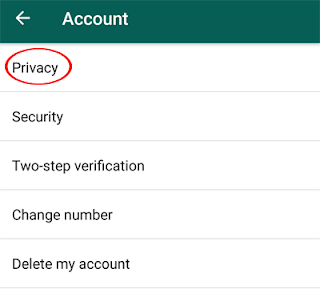 Select Account and then select Privacy. Under Privacy, you should be able to see the Last Seen option and by default it is set to Everyone which means that everyone can see your Last Seen timestamp. Now we need to change the last seen settings. Tap on Last seen to proceed. From the screen that appears, you'll be given three choices. 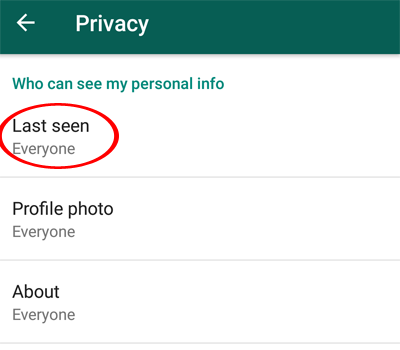 Select Nobody and no one will be able to see your last seen in WhatsApp anymore. If you pick this option, your last seen information will be visible to everyone. 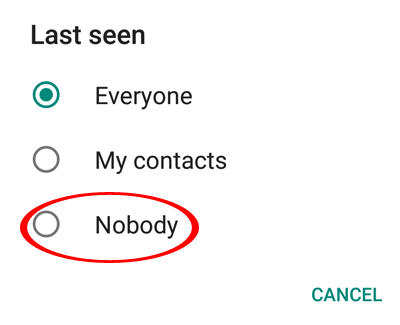 Select this option if you prefer only your phone contacts can see your last seen information. 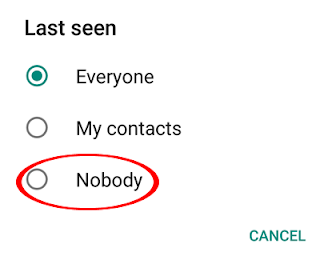 When selecting this option, no one including your phone contacts can see your last seen information. Please note that you will not be able to see your contacts last seen information as well.